The bus from Rio dropped us off on the highway 70km before arriving in São Paulo. The highway passes through small towns, farms and factories. Getting our bags before heading down the small country lane we are greeted by a large sign with colourful dancing M & Ms in front of the chocolate factory across the highway, the banner reads: ‘A diversão começa aqui’, ‘The fun begins here’. 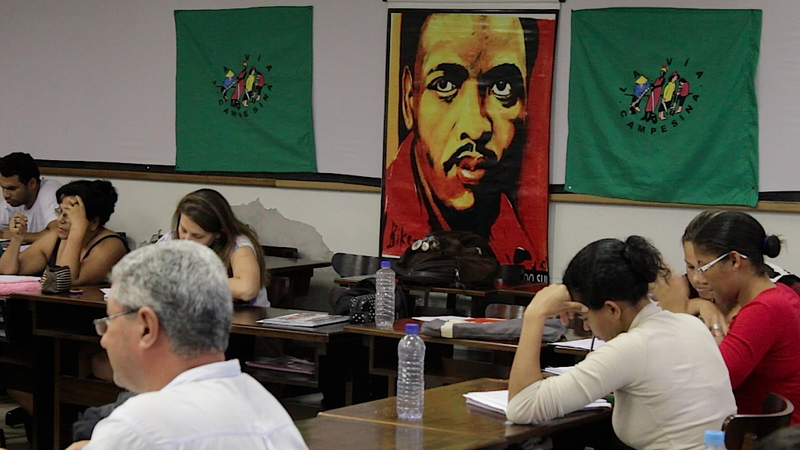 We did not know what to expect as we came to visit the Escola Nacional Florestan Fernandes ENFF, the Florestan Fernandes National School, named after an eminent Brazilian sociologist and activist. 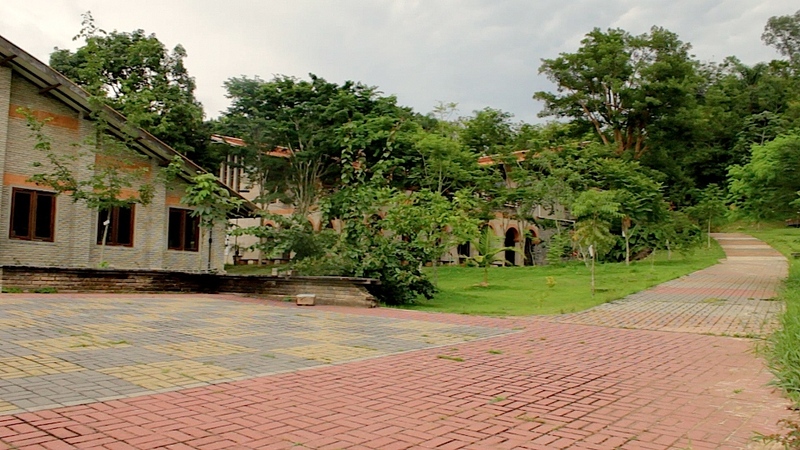 This place of higher education (they do call themselves a university), is a flagship and central learning space of the Movimento dos Trabalhadores Rurais Sem Terra, Landless Movement of Rural Workers, (or also known as the acronym, MST). Founded in 2005 through the collective effort of the MST and funds from eminent supporters like photographer Sebastião Salgado, musician Chico Buarque and many others, the ENFF has been created to act as a central learning hub for the MST and other like-minded social and ecological movements in Brazil and Latin America. Our communication with the coordination team of ENFF had been sporadic and brief so we did not know how we would be received and if people really understood what we were doing. We also were not sure what, if anything would be happening at the school as courses do not run all year round but happen in blocks at certain times of the year or else in one-off events. Any unease we had about being here soon dissipated as we are warmly received and shown to our accommodation by our friendly hosts who were in charge of organising this place. Landless Rural Workers, like other marginalised social groups, such as those from the favelas which we wrote about in the last posts, tend not to be fairly represented in the mainstream media in Brazil. The MST in particular, because of their struggle for an overhaul of the country’s intensely unfair land ownership system and the proposal for a socialist and redistributive state, tend to receive a particularly negative representation from the right-wing leaning printed press, such as Veja magazine and from Brazil’s largest media conglomerate, the Rede Globo Network. Against this hostile media background the movement has also always suffered from violent attacks and threats by landowners. 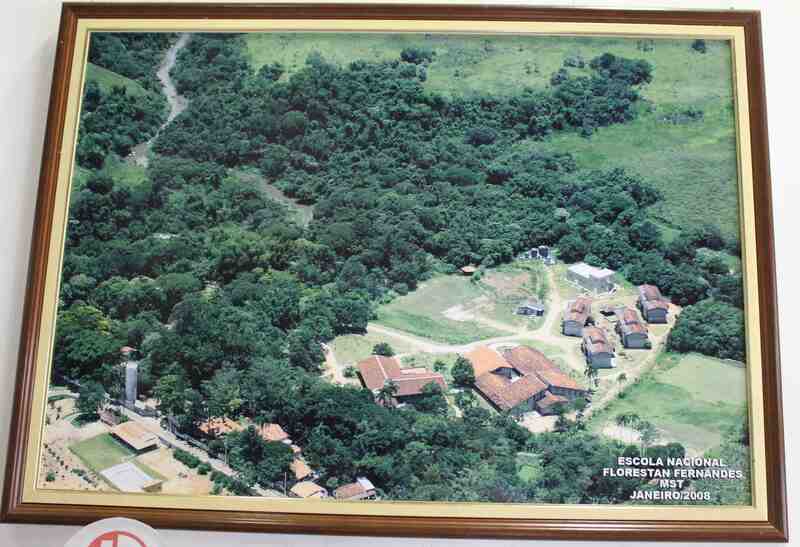 The most notorious of such episodes was the massacre of 19 MST activists in El Dorado dos Carajas in the state of Pará by military police in 1996. During our days visiting the School, a regional MST leader, active in promoting more environmentally sound agriculture, was murdered in the state of Rio de Janeiro. Many at the school knew him and on hearing the news an emotional celebration of his life took place. With threats, the actuality of violence or death and the symbolic violence of the media, it is no wonder that the MST can be guarded to outsiders. But it did not take long, as has been our experience in all the places we have visited, to feel warmly welcomed by those we met: people coordinating, running, teaching and learning at the school. During our time in the School we were shown around and talked to coordinators and activists from the MST, a couple of university lecturers who were teaching classes here, a group of teachers working in schools across the country who also came here on a course on Education, Literature and Music and Rural Education. We also talked to younger MST members who were studying at public universities across Brazil in courses designed in partnership with ENFF. We will talk more about what we learned from them and from being there in the next post. Whilst here we also talked to people like Cléia who had a degree in agriculture and was working in the gardens demonstrating various aspects of cultivation and who was especially keen on bringing more ecological principles into the movement (which has historically used a more chemical-based and industrial approach to farming and food processing so as to make production more commercially viable). 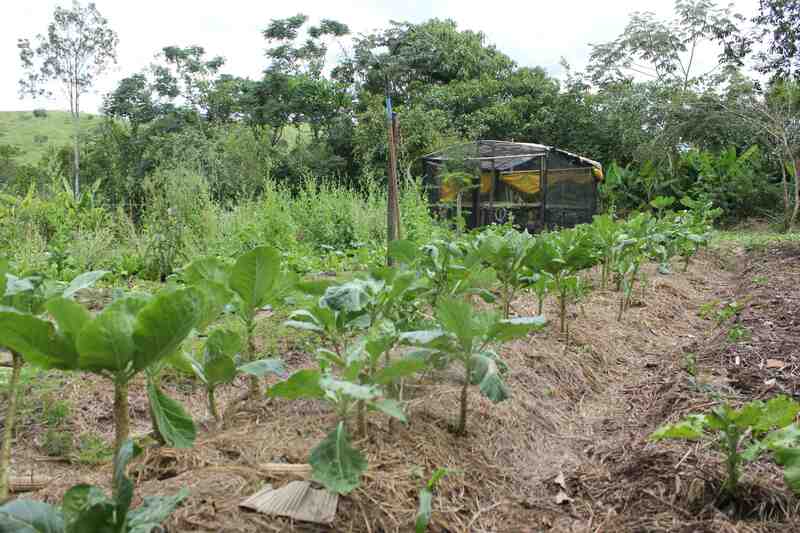 Agro-ecology is taking over as an important agricultural view and practice in the Movement. We learned about the international dimension of the Movement talking to Leo, who was here at the School waiting for the rest of his team from the MST who were going on a two or three year posting to Haiti to work with local partners on a water capture, storage and irrigation project in communities affected by the 2010 earthquake. Leo, from the northeast of Brazil, had already been to Haiti on this project for two years and spoke Creole, he loved his time there and was keen to go back. He was here to also teach others from his team Creole and about the project. We learned about the experience of children in Movement from two delightful guides, five and eight years old, sons of families who were living here at the School. They showed us around the place: where the pre-school children organised themselves to have a camp night, away from their parents in the premises of the school; the large cafeteria where people ate all meals together; a frog swimming in the swimming pool. We loved their curiosity, confidence and ease at engaging with grown ups. 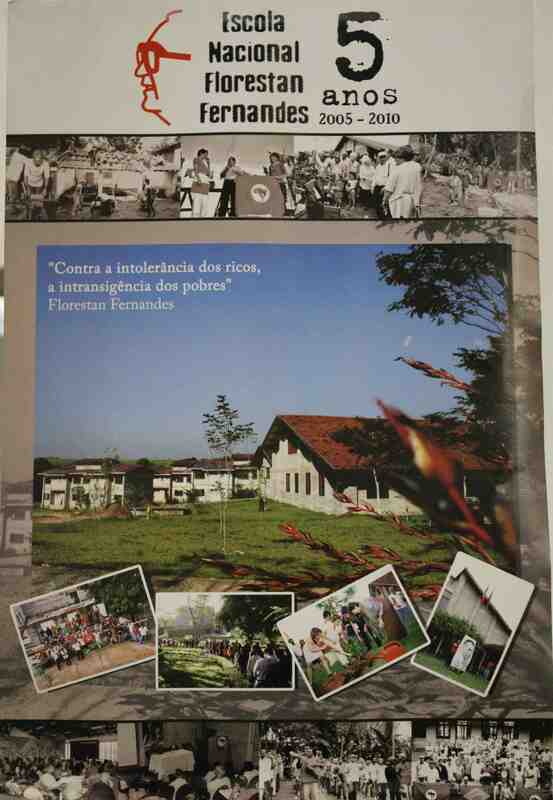 The MST also has its own children’s groups and events, the Sem Terrinha, or Little Landless People, at each camp and settlement which also has its own publication. (This experience we had elsewhere in our journey when we met children who were being raised within a learning environment that gives young people more autonomy, encourages their own initiative and curiosity in defining what they want to learn. We want to write about this in later posts). Combined with the warmth of the people we talked to, their optimism and deep motivation and commitment for a better world what moved me the most whilst visiting the School was something more subtle which I had not read or heard described elsewhere about the MST. This has to do with the strong affect between members of the movement, their care and warmth for each other and the ties of solidarity that bound them. The stereotype about people who are highly politically committed, especially those subscribing to a particular ideology, is that there is a kind of hardness, a righteous anger, a future orientation and single-mindedness that is incompatible with tenderness and a gentle cultivation of interpersonal relationships. But here at the School the deeply political and gently interpersonal were interwoven. There was a beautiful softness between people along with playful laughter in between the discussions of politics. Perhaps this is the result of the physical proximity through which many in the Movement must have at some point in their lives lived through with other activists in the temporary camps where they occupy unused and unproductive land across Brazil. Living in a camp means living close together and cooperating across all aspects of life so as to ensure survival, like nomadic bands do in so many parts of the world. Maybe these bonds of affect and solidarity are also the result of the cultivation of a deeply democratic culture within the movement. Decision-making across various aspects of day to day life and about the direction of the movement are taken through constant deliberation, debate and voting. This democratic ethos is promoted across levels of the Movement, from camps to regional and national secretariats, from pre-school children to university study groups. The aspiration for a participative culture is infused in the movements’ very pedagogy, the way they practice and understand the role of teaching and learning. I will write about this in a following post. 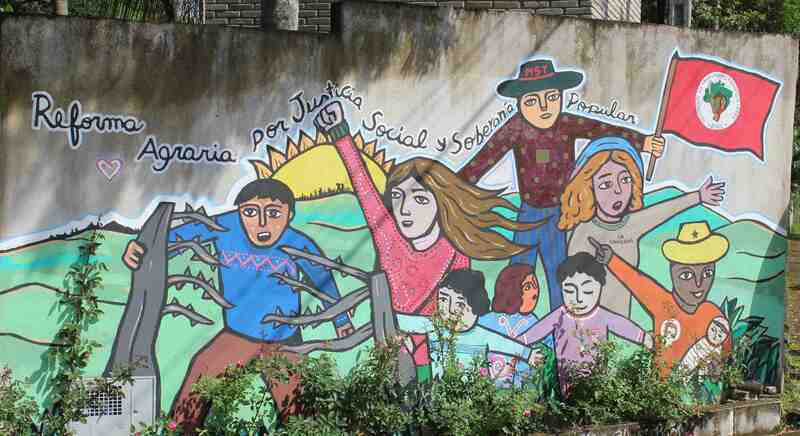 But beyond the living in close proximity and cooperating in camps and settlements and the democratic ethos of the movement there is another important catalyst that weaves the ties of affectivity and solidarity. This is the mística. Mística can be translated as the ‘mystic’ or maybe more faithfully the ‘mystery’. This is the ceremony that members of the MST are involved in daily, often early in the morning, and at specific events. Though the MST is deeply influenced by Liberation Theology, the popular movement that swept Latin America’s large Catholic community from the 1960s and interpreted Jesus’ message through the lens of social justice and Marxism, mística is not a Christian ceremony. In fact, in the ceremonies we attended whilst we were there, no Christian symbols were seen. Instead the ceremony is a celebration and evocation of a living thread of those who have struggled for freedom and justice across history. In one of the místicas we attended, for instance, the images of Zumbi dos Palmares, the 17th century African prince and runway slave who led a colony of former slaves in their battle against the Portuguese crown in Brazil, was placed. This picture, surrounded by flowers and candles, sat along that of Steve Biko, the South African activist and intellectual who fought against apartheid and who was murdered by the police in the 1980s. 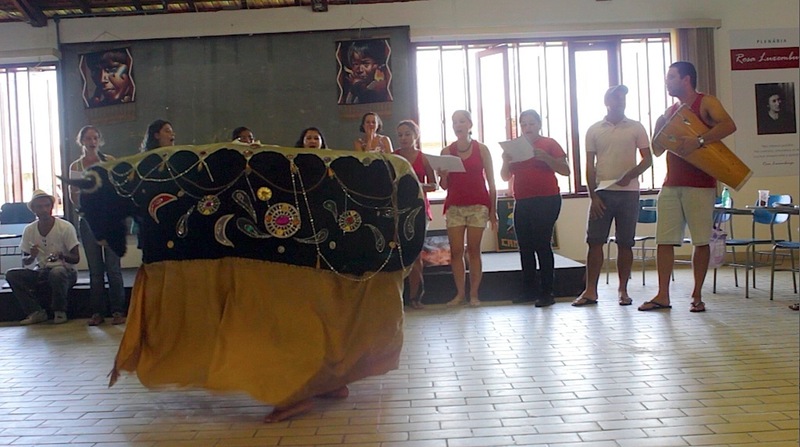 The mística also involved singing and poetry and even some dancing. Like other ceremonies we have taken part along this journey (see Quechua post) we enter them shy, awkward, self-conscious of the theatricality of the performance, yet keen to participate with an open heart and mind. We try to soothe the over-analytical and distancing mind and feeling academic training and irony-loving post-modern culture has cultivated. Instead we try to join in song and dance and the spirit of the event, opening ourselves to the experience. Soon a warm feeling of solidarity emerges amongst us in the group and a sense historical continuity with others also striving for a better world. This thread in the mística is probably not far from what Gandhi called Satyagraha, truth or soul-force, a spiritual strength that overcomes injustice in the world seeking to show the true nature of things. My experiences here, where I have spoken of the strong affectivity, warmth and solidarity at the ENFF are not necessarily reflective of the Movement as a whole, a very broad and diverse collection that includes hundreds of thousands of families spanning the continental scale of Brazil and its many local cultures. But at least here in this place of learning these qualities of friendship and solidarity, so often absent or repressed in more traditional academic spaces, where very much present. 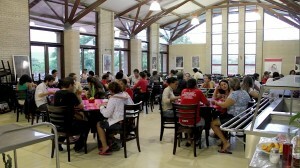 These are qualities we have also been experiencing in other learning places we have visited, teaching us a great deal about a whole sphere of being in the world and being together (of emotional, social and spiritual intelligence to put it crudely) that is painfully lacking in conventional higher education spaces. Experiencing how learning spaces can accommodate and nurture these dimensions of our being, as we have tasted along this journey, has been inspirational for us showing that there are some powerful ways of re-imagining higher education.